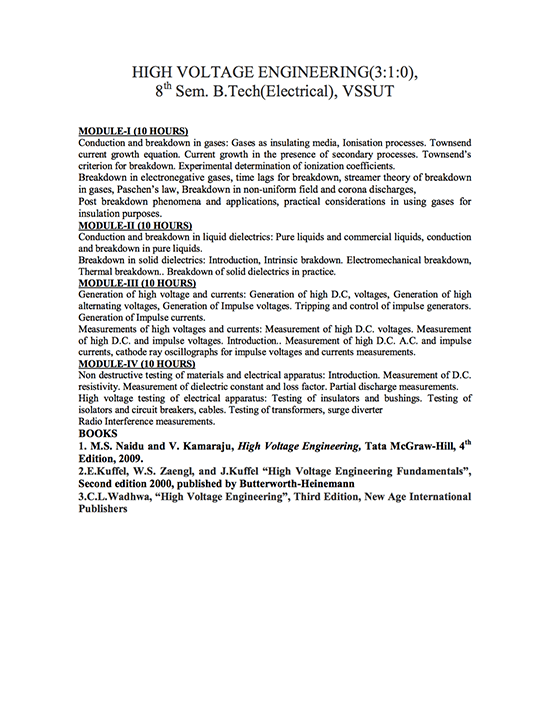 The principal objective of lecture notes is to cover the fundamentals of high voltage laboratory techniques, to provide an understanding of high voltage phenomena, and to present the basics of high voltage insulation design and techniques. Conduction and breakdown in gases: Gases as insulating media, Ionisation processes. Townsend current growth equation. Current growth in the presence of secondary processes. Townsend’s criterion for breakdown. Experimental determination of ionization coefficients. Breakdown in electronegative gases, time lags for breakdown, streamer theory of breakdown in gases, Paschen’s law, Breakdown in non-uniform field and corona discharges, Post breakdown phenomena and applications, practical considerations in using gases for insulation purposes. Conduction and breakdown in liquid dielectrics: Pure liquids and commercial liquids, conduction and breakdown in pure liquids. Thermal breakdown. Breakdown of solid dielectrics in practice. Generation of high voltage and currents: Generation of high D.C, voltages, Generation of high alternating voltages, Generation of Impulse voltages. Tripping and control of impulse generators. Generation of Impulse currents. Measurements of high voltages and currents: Measurement of high D.C. voltages. Measurement of high D.C. and impulse voltages. Introduction.. Measurement of high D.C. A.C. and impulse currents, cathode ray oscillographs for impulse voltages and currents measurements. Non destructive testing of materials and electrical apparatus: Introduction. Measurement of D.C. resistivity. Measurement of dielectric constant and loss factor. Partial discharge measurements. 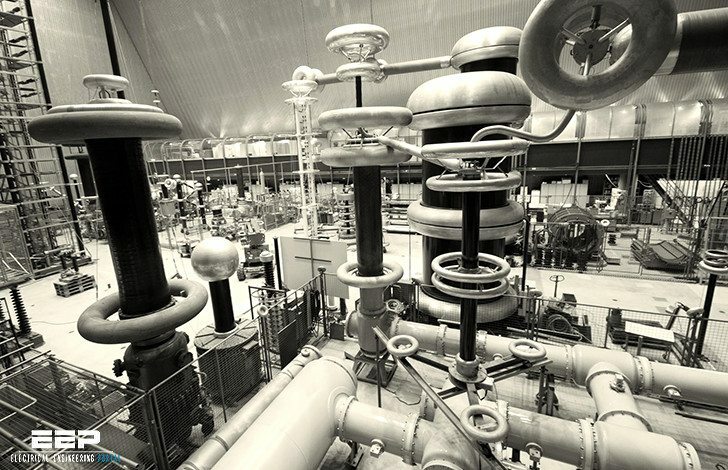 High voltage testing of electrical apparatus: Testing of insulators and bushings. Testing of isolators and circuit breakers, cables. Testing of transformers, surge diverter Radio Interference measurements. It would be very helpful if I can get information and notes on HV protection relay calibration. Test Criteria for Rotating Machine regarding tip-up test for insulation power factor.